Spaghetti Squash – This one is kind of obvious, but, that huge egg-shaped yellow squash does a pretty good imitation of pasta if you cook it correctly. Oven goes on 375 degrees, cut the squash in half, scrape out seeds, face down on the baking sheet (I spray some pam to avoid sticking) and 45 minutes later, you have a roasted squash. 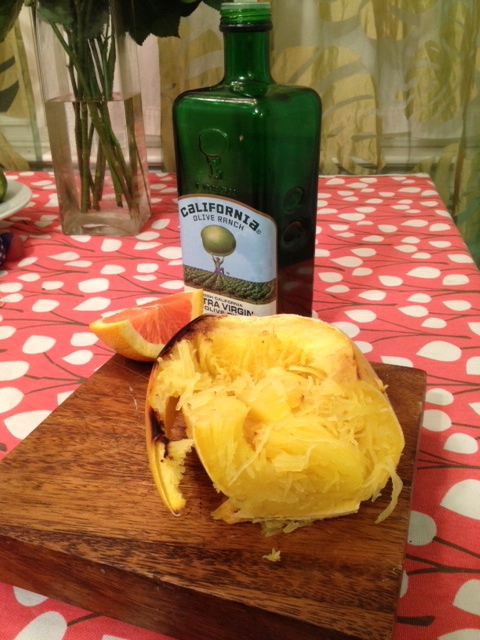 Use a fork to flake off the squash and you will have a boatload of “pasta noodles.” I cup has 42 caloires! 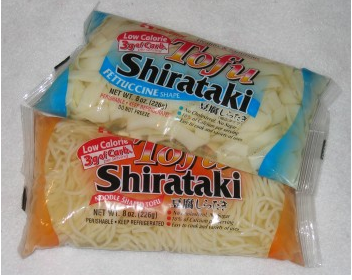 Shirataki Noodles – These “noodles” are made from water, tofu and yam flour and an entire bag is 40 calories! They take a little practice, but, well worth the effort. 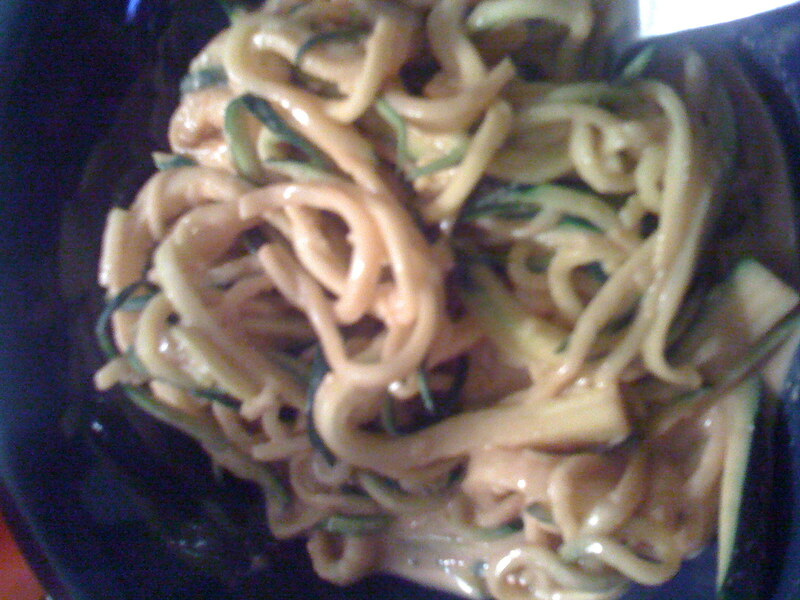 Zucchini Sesame Noodles – I’ve posted about these back in 2009, but, I think it’s worth posting again. I use a mandoline to slice both green and yellow summer squash into tons of “noodles” I like them with a sesame flavor, but, you could go in any direction with them. Again, super low calorie and super satisfying. 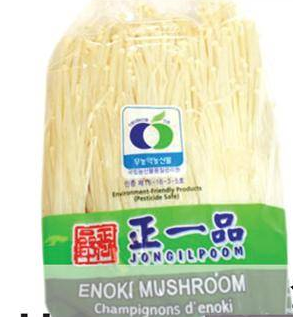 I would say this one is a tie between Jicama and Sprouts – Both are equally not pasta, but, given the right vehicle can give the impression of consuming mouthfuls of starchy strips of flour, but, without the caloric/glycemic cost.